All this week Zoomania in Aylesbury has been offering free entry. It was the last day of the promotion today and when I saw a post saying that a few Mums were meeting up there this afternoon, I thought it would be good to take Little Miss A along for a play. Zoomania is an indoor play centre for children up to 11 years. For the older kids, there are playframes and slides, a football court, ball maze and more. For the smaller ones, there's a dedicated section with a playframe, ball pit and a couple of Little Tikes cars to drive around. As it was a nice afternoon, they actually had a door open to an outside area. I had a quick peek out here and there's a really nice wooden climbing frame plus a play house. There's plenty of seating and tables around the centre and outside. There's a cafe and you can only consume food and drink bought on the premises, but this is the case at most play centres. The last time we went Little Miss A was much smaller and less independent. This time she could really make the most of the Under 3's section and had a go at everything, several times. Of course, her favourite was the slide! The centre offer different activity sessions each day (weekdays only) including messy play, arts & crafts and musical games with Zilo (the Zoomania character). So next time we visit, we'll have to try one of these out. Considering that entrance was free today, it wasn't as busy as I thought it might be. Think we timed it right though as we went at 2pm so we left before lots of people would be arriving with their kids after school. Normally it would cost £2.50 for Little Miss A, so it's not that expensive. Price varies by age. It was obviously a bonus that it was free today! 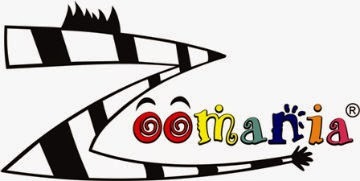 Zoomania is a good option if you're looking for something local to do for an hour or so that will burn up some energy!